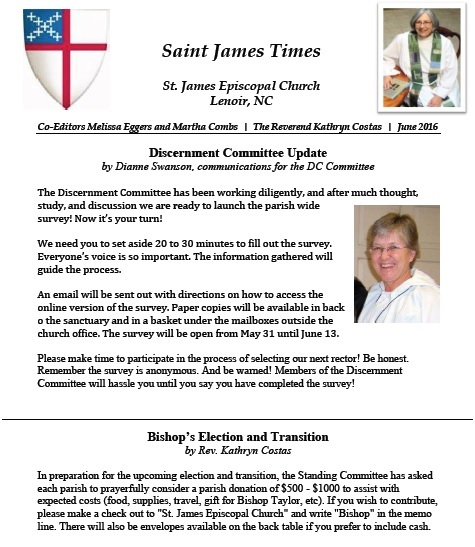 For many years, St. James published a paper version of our newsletter called The Saint James Times. It included articles about parish life, past church events, parishioners' personal news, and our upcoming projects. In December 2016, we decided to end our paper edition and adopt an online format. Our new e-newsletter is called YOU ARE THERE! and is updated periodically throughout the month. Please CLICK HERE and see our currents projects and events. Below you can find the issues 2016 of The Saint James Times.